Subtly stylish, this opal glass pendant from Illuminating Experiences provides a new twist on a classic design. Gives off a soft and comforting general illumination. Perfect for a wide range of decors. Stylish incandescent wall and ceiling fixture. 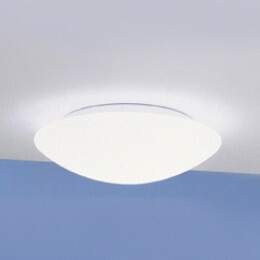 Ceiling light with metal trim ring in white finish.